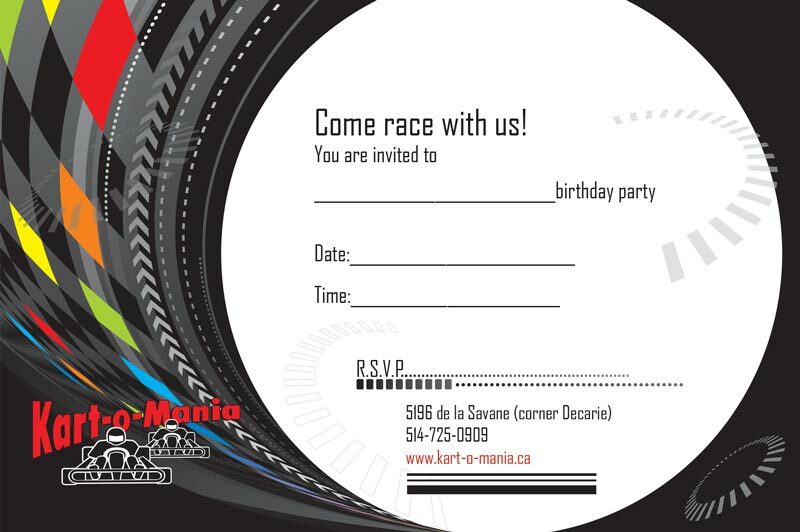 Kart-O-Mania wants to put your child on the podium, we can make arrangements for a birthday party to please any champions requests. Kart-O-Mania is pleased to offer it’s younger generation the opportunity to drive a secure and tested junior kart. With monitored speeds and hydraulic brakes children as young as 8 years old measuring 50″ tall can experience a race track in a safe and pleasant environment. Safety equipment is offered at no extra cost. Helmet, balaclava, and neck guards are mandatory. 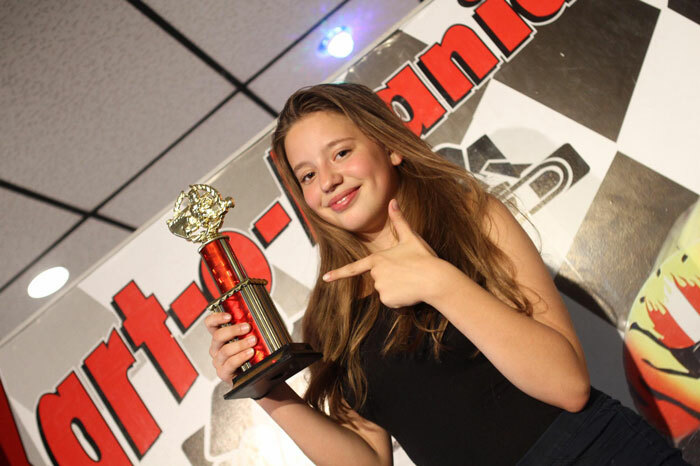 Kart-O-Mania wants to pout your child on the podium, we can make arrangements for a birthday party to please any champions requests. Our private lounge can accommodate up to 60 people in a comfortable air conditioned atmosphere. A full theme catering service can be ordered in advance or simply add a pizza package your party. You are welcome to your child’s favourite birthday cake with personable party favourites, a friendly reminder an ice cream cake is not ideal. 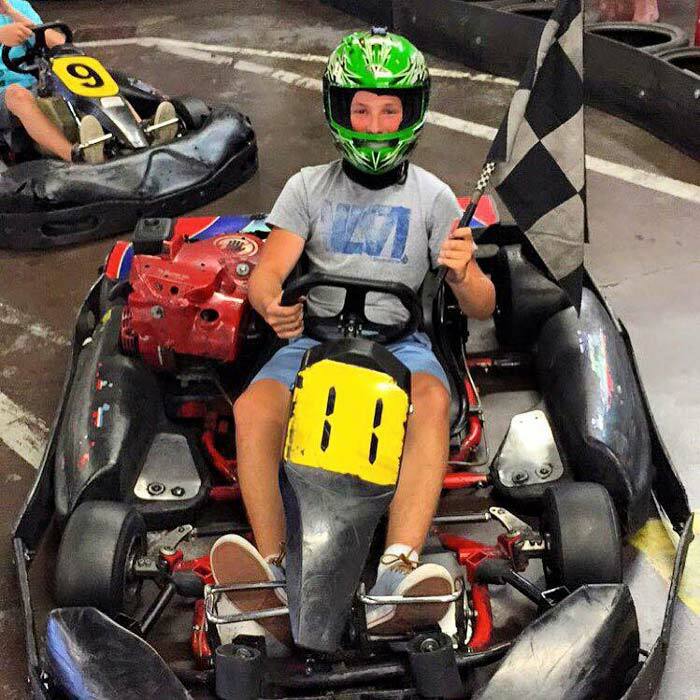 You arrive and we drive you to a successful event, we guarantee a fun friendly atmosphere with the latest karting equipment to offer you a successful event. Possibility of room rental at additional fees, if you wish to bring in your own catering service. Please take note that a briefing period is required and offered to every driver. The rules and guidance video is a 5 to 7 minutes video indicating all safety signals and rules that must be respected. We then help the participants’ suit up. Our safety equipment includes a helmet, a balaclava, and a neck guard. Once the driver is seated we must adjust the seat and pedal for the child to securely reach and be comfortable seated. Our karts all include adjustable seats and pedals to assure the safety of each child is met.